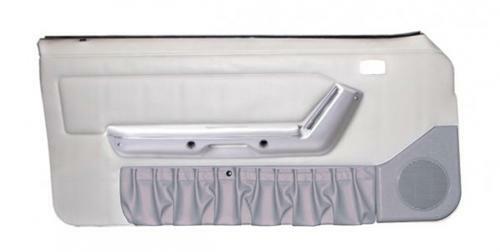 Use this 1990-1992 Mustang limited edition door panels to replace your worn, torn, or stained panels. This pair of fully assembled Mustang door panels from TMI includes new inner door belt weatherstrips, door lock knob grommets, speakers grilles and map pockets. No assembly required, all you have to do is take them out of the box and install them on your Mustang using door panel clips.